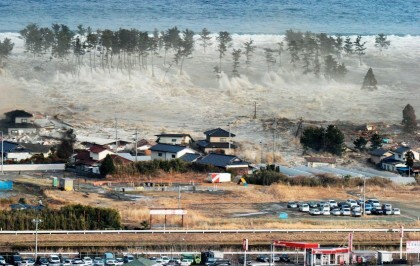 10 minutes later when the helicopter lifted off again, the pilots and the photographer saw a huge Tsunami, with waves up to 40m high, arriving at the Japanese coast. The helicopter had gas for 30 min. 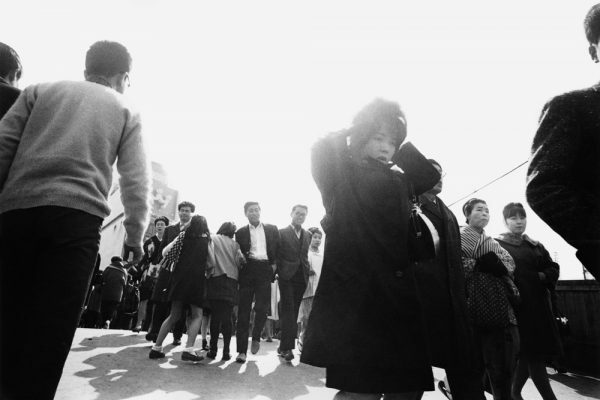 and Koichiro Tezuka took as many photographs as possible during this short period of time. 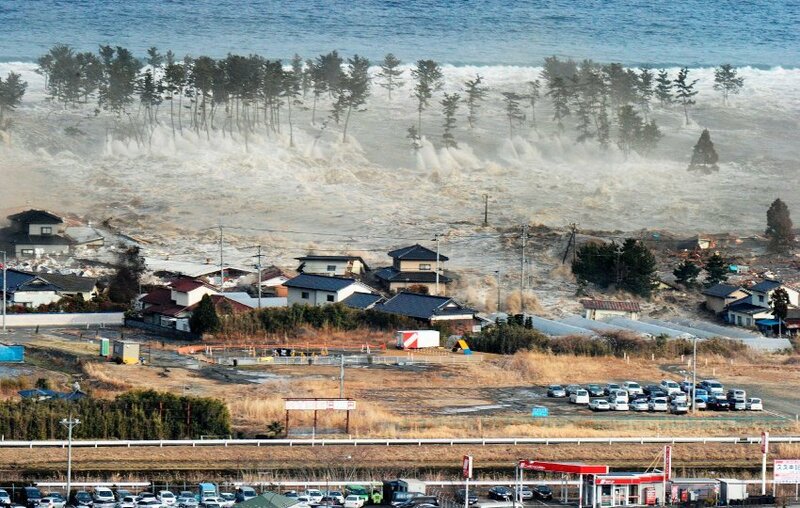 On 11 March, at 14.46 local time, a 9.0 magnitude earthquake struck off the coast of the T?hoku region of northeastern Japan, setting off a powerful tsunami. 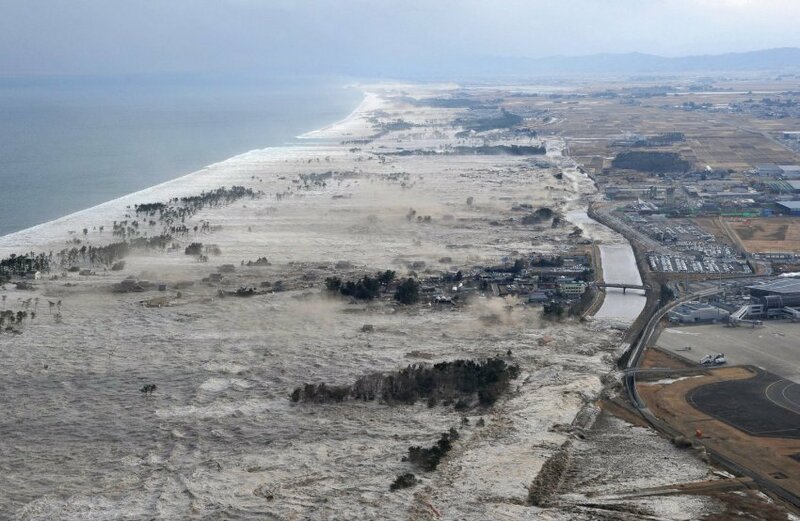 Although anti-tsunami seawalls were in place, the waves of the T?hoku tsunami—sometimes more than three times the height of the defenses—washed over the tops of the walls, causing many to collapse in the process. 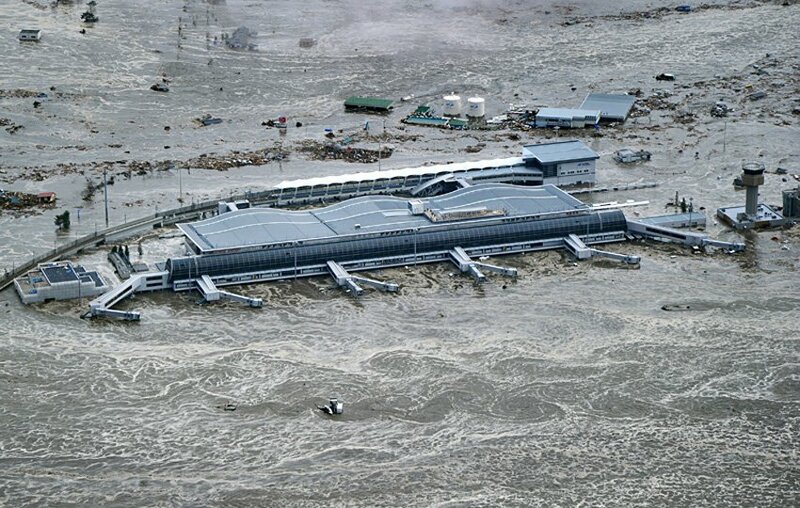 Floodwaters thrust up to 10 kilometers inland, destroying over 45,000 buildings and damaging some 230,000 vehicles. 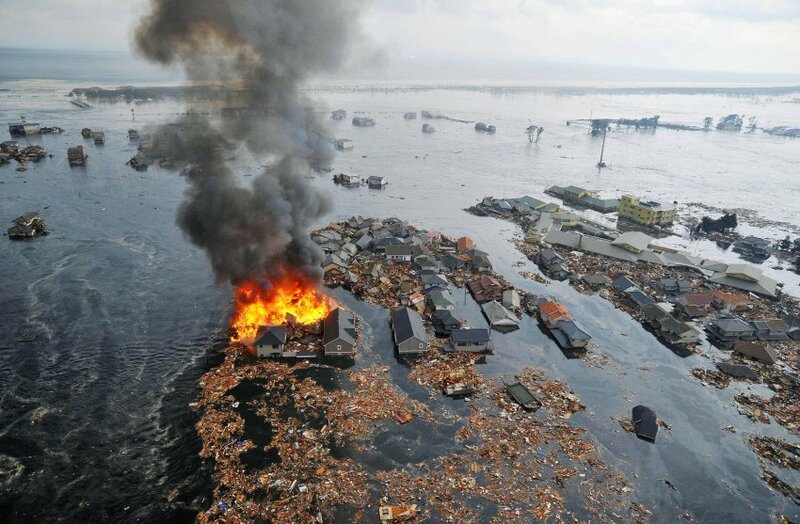 The havoc wreaked on the infrastructure made recovery operations and the search for survivors extremely difficult. Eleven months later, the death toll stood at 15,848, with 3,305 people still reported missing. 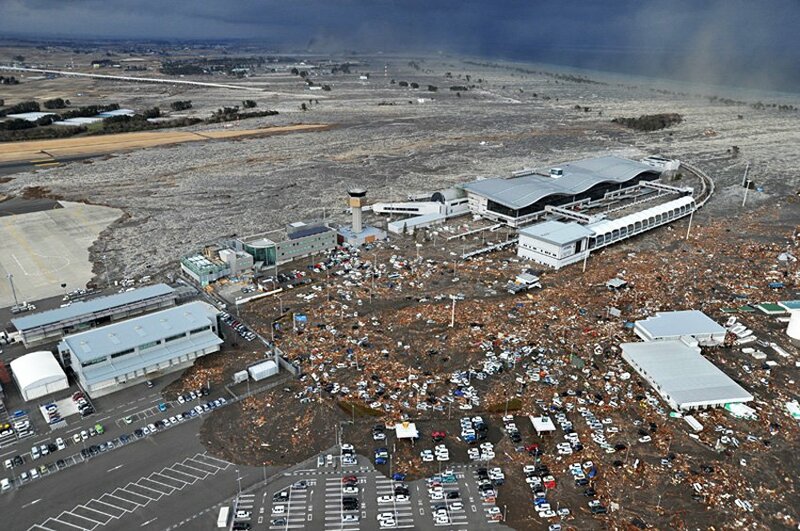 The tsunami damaged part of the Fukushima Daiichi nuclear power plant, leading to shutdown and a nuclear alert. 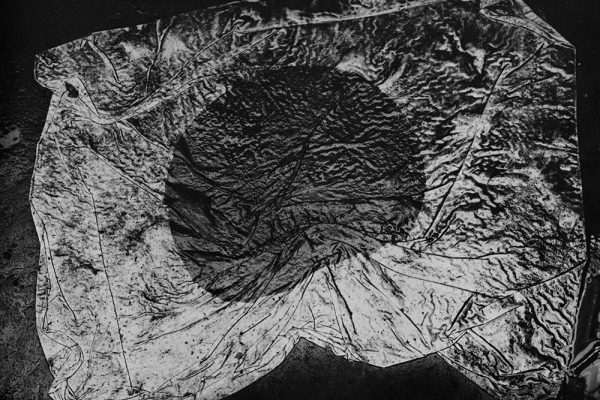 For the series Koichi Tezuka received the “1rst Price Stories/ Spot News” World Press Photo Award 2012. 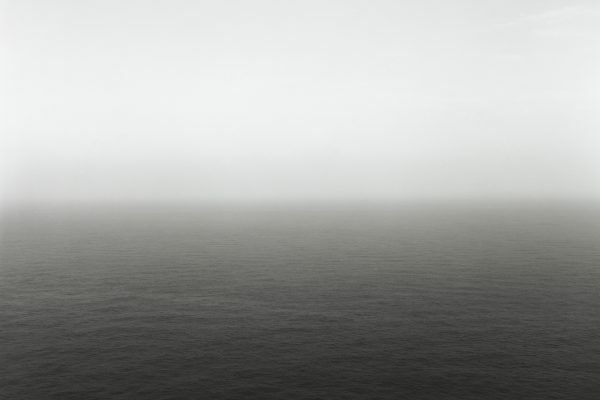 PS: A year before, in February 2010 I went to Tôhoku for to visit the photographer Lieko Shiga. Lieko was living in small village next to the sea, not far from Sendai airport. Lieko Shiga is one of the very few Japanese artists who experienced first hand the destruction caused by the Tsunami and its immediate aftermath (almost all Japanese artists live in or near the major cities either in Kantô, Tokyo area, or Kansai, Osaka/Kyoto area. More about her and her work in follow-up post).